Well, considering that for the first time so far I'm not done at Halloween (I haven't even done the Supertrans comic yet), I think it's safe to say that late updates are perfectly fine for everything. ... will anyone please help the good Professor sorting ous his last wish & will while I go sharpening my tools of trade? Professor Etheric wrote: No worries, Hogan. I will totally send it to you (with or without trade dress, your choice)... when I get it done. I can't give any sort of timeline on when that will be, though. Mostly, because my storyline in going to run until it's done... and it hasn't even started in the main comic). And if that sort of bribery doesn't work, let me try this one. I would be more than happy to offer some help with the Archive (whatever I could do...). After all, having a Professor in the museum lends a certain air of distinction, don't you think? To be fair, I DO remember that... thats why I'm giving you a head start! All right, seems like things have slowed down a bit after Halloween itself has run its due cause, but even with a Candy Hangover there's still people WHO are coming up with strips, and the Caper Hub has now been updated with those! Finally caught up with the Caper Hub... which is pretty easy to do now after Halloween, but its still great to see updates coming in and the plot continue! But, that also gave me time to fix all the links to Victory's part in the Caper so they should be functioning again... thanks for the help Chris! Another weekly update to the Caper Hub has been completed... we are still with ye! A bit delayed this time, yet another update on the Caper Hub! This time we've received the ending to Hey Fox's as well as D.D.S.R. 's run of the Caper... and what runs it has been! ... though less running this year from Hey Fox! Thanks for giving us a great Halloween and beyond both of you! The Caper Hub has once again been updated, this time saying its thanks to Hey Fox! too for this time! Also, the Webcomic Hub has also seen the first Group of updates with more following as we speak! I hope to have it fully up to date before the end of the year! The Caper Hub has now been updated with the latest two strips directly from Autumn Bay! I've also managed to update the Webcomic Hub with a host of the strips from the Caper! Until then, let me know if you think there should be some changes to the presentation which would showcase the continuity of the Caper better as a whole! Professor Etheric and TheMario360 have gone behing out backs and updated their respective comics with new Caper-Related strips! 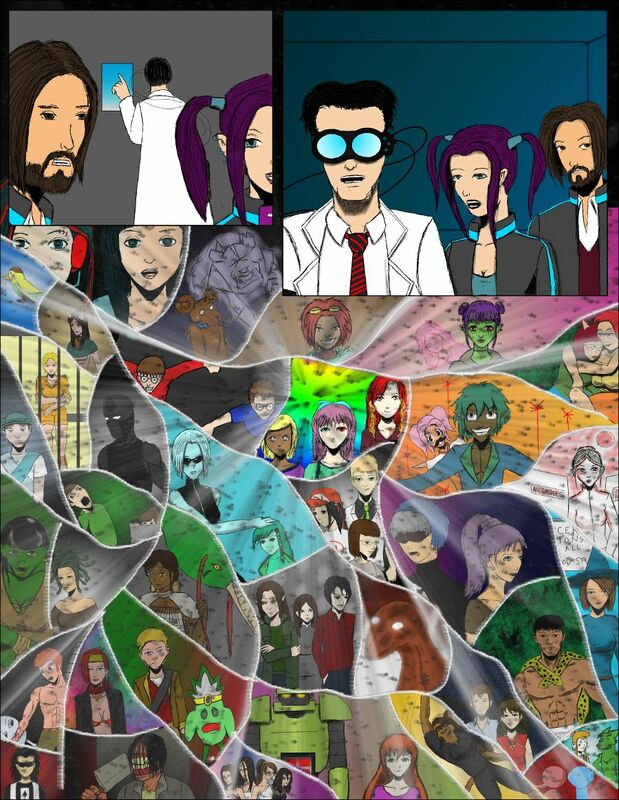 As a result, both the Webcomic Hub and the Caper Hub have yet Again been brought up to date! Also, I'm toying with the idea of uploading the remaining 2014 strips I've stored to the Webcomic Hub, adding the "End-Strips" to the Caper so to speak and leaving room for the remaining stragglers to add their strips inbetween... which off course will be added to the Hub properly too! I should say that my involvement began again here. While, more than a tad bit delayed, working on the 2015 Caper, I went and checked out couple of the comics from the 2014 Caper and found out that the Thomas & Xachary/Autumn Bay-crossover part of said Caper had moved ahead by 4 strips over the summer! Autumn Bay has rebooted and will start again all over, and with the whole archive having been deleted, I have changed the links in the Hub to the strips saved on Thomas & Zachary's site. Those which was not mirrored there have had their links changed to the internal copy of the Hub, stored there for just such an occasion. To top this I, by checking other comics, find out that Karabear have ALSO gone ahead and updated with more than 20+ strips in Karabear Comics Presents Special! So, well, I guess I have only myself to blame for not having kept up to date, but now at least the Caper Hub is updated and I will begin working on the Webcomic Hub soon, probably finally adding each and every strip I have stored to the site, completing the "continuity" as it stands now. As for now, lets get the Hubs fully updated with what the 2014 Caper brought us so we can more ahead and see what the 2015 Caper has in store for us!